Join Highcon at Graphics Canada! At the Graphics Canada show, attendees will learn how to diversify and grow their company reinvent the way they do business and find new ways to increase profits and boost sales. Guests will learn how to adapt to the new challenges of consumer behavior and technology, and get to take back innovative ideas they can implement to improve their operation and succeed. Can we send you a FREE sample kit with Highcon Digitally Cut & Creased Samples? The Highcon digital cutting and creasing machines transform the expensive and slow conventional die-making and setup process with a digital technology that delivers improved responsiveness, design flexibility and the ability to perform a wide range of applications in-house. We will be happy to send you a sample kit with our company brochure and relevant applications in your segment, produced by our customers world-wide. Simply click here to submit your request and let us take care of the rest. Highcon will be showcasing samples produced on the Highcon digital cutting and creasing products, demonstrating the wide range of innovative applications made possible by Highcon technology. Interested in receiving a FREE sample kit? Simply click here to get your digitally cut & creased sample kit. Are you a marketing service provider looking into creating new products from existing customers? 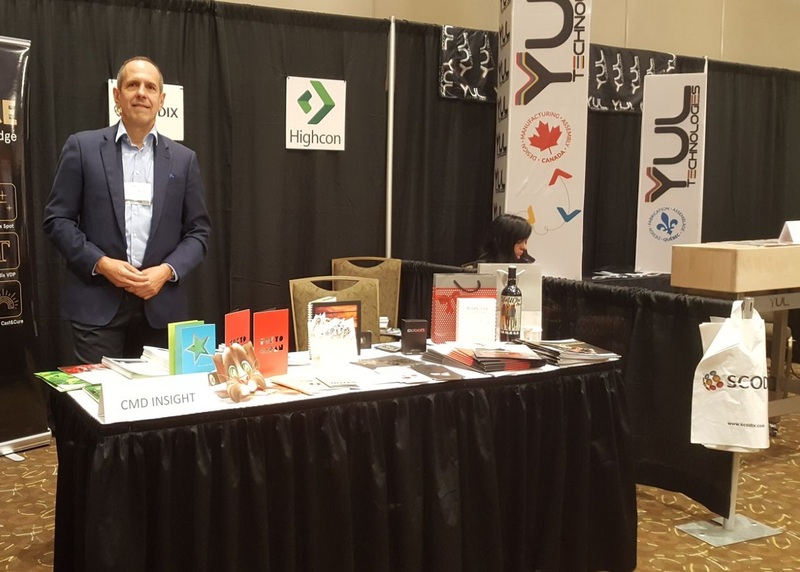 We invite you to meet with Christian Knapp, Owner at CMD Insight Ltd., at the Graphics Canada to hear more about the latest solutions in digital finishing and learn how Highcon can impact your business. Businesses today need to innovate, transform and optimize their strategy to fit brands needs. As brands are becoming more and more important, marketing must be close to real time and focus on crating emotional connections. The discussion today is all about how brands have to listen to their customers in order to stay ahead of the game. This means faster time to market, more segmentation and personalization in products. Interested in scheduling a meeting with Christian Knapp, Owner at CMD Insight Ltd.? Click here to let us know and we will reach out to you to schedule. Get some Productivity into your everyday workflow! 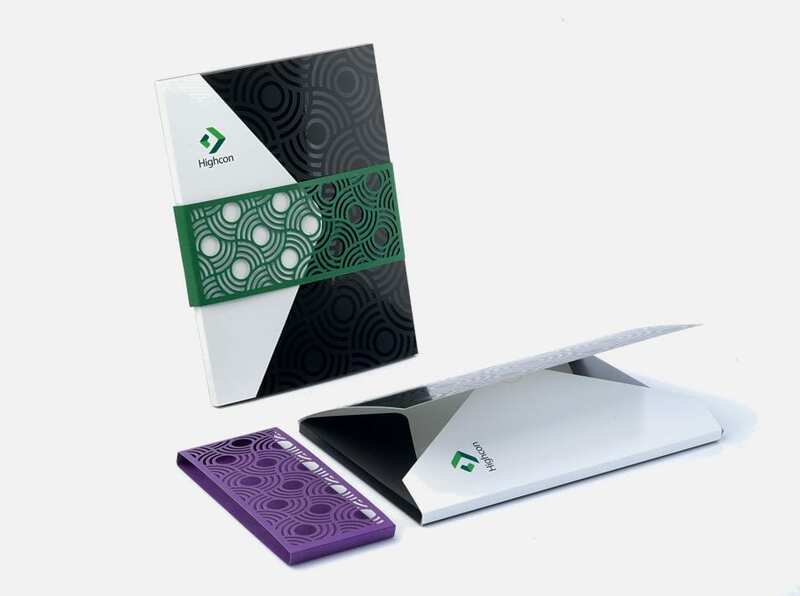 Our Productivity notebook was designed & produced by Elinir, a Highcon Customer located in Israel. It is one of a series of notebooks with variable data cutting on the front page of the words Value, Vision, Creativity and Productivity. Finishing is the most overlooked part when creating a printed product. At the CMD & Highcon booth at Graphics Canada, guests will learn more about digital finishing solutions that offer marketing service providers to be close to real time, and enable creating new products from existing customers. Highcon will be showcasing samples produced on the Highcon Euclid III digital cutting and creasing products, demonstrating the wide range of innovative applications made possible by Highcon technology. This is an excellent opportunity for you to see real customer applications, and get answers to your questions. 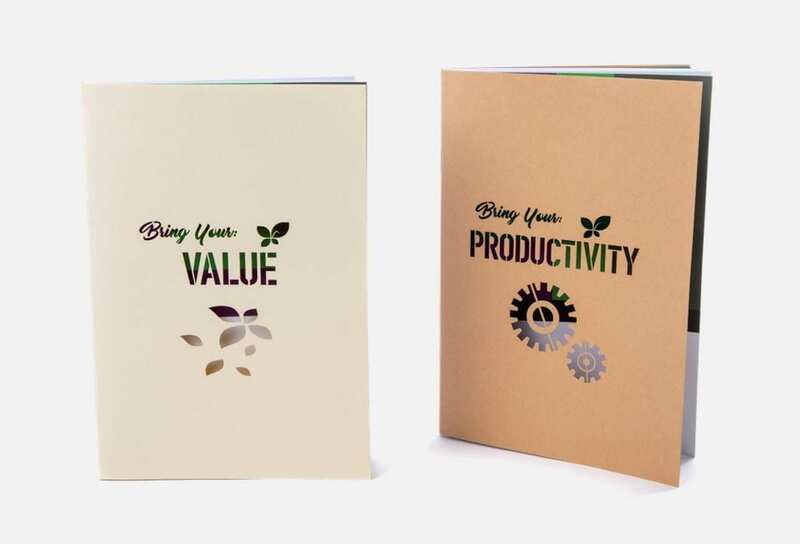 Want to pick up your Productivity Notebook at the CMD & Highcon booth at Graphics Canada? Click here to get your digitally cut & creased personalized notebook.